With their years of expert crafting and precision, Niner takes pride in building their bikes. Highly innovative and forward thinking, they’re one of the most revered brands in cycling. Since their early days they have known the importance of perfecting their frame materials and geometry. Their latest Air 9 has both bases covered. 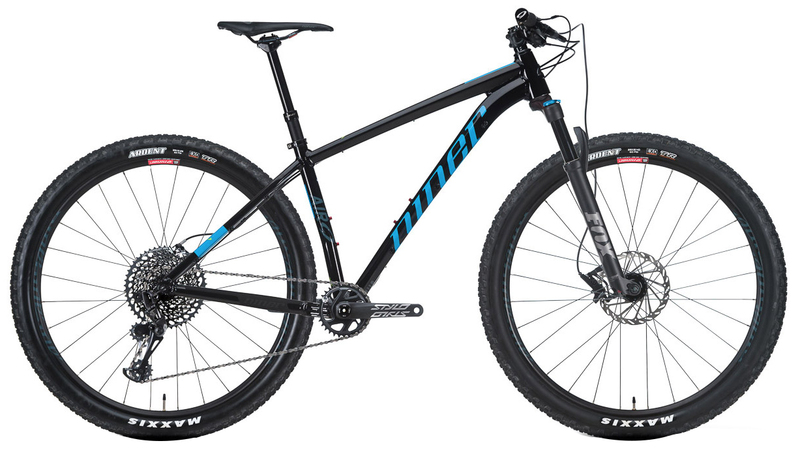 A low bottom bracket and short rear end make the bike tight and nimble when the terrain beckons, and the steep head tube angle gives it the chops to climb like a goat. In 2018, they have also shortened the rear end and slackened the headtube angle. The SRAM Eagle components that feature prominently on this build are also new for 2018, but their presence in the bike industry has been pretty massive for the past few years. Meeting at the perfect crux of price point and performance makes them ride at a pro level while still being attainable. The 1 x 12 drive train features an 10-50T cassette that can get you through any grade of terrain with ease. The Race Face cockpit is wide and low, offering optimal control on the trail. Niner’s Alloy wheels have a low rotating weight and terrific integrity. Complete with a Fox Float Rhythm fork up front, this bike is built to smooth out the trail without smoothing out your bank account.